Substance abuse covers misuse of a range of mind altering substances. It can have a severe impact on someone's everyday functioning as well as on their physical health. Substance abuse or misuse is 'the continual misuse of any mind altering substance which severely interferes with an individual's physical and mental health, social situation and responsibilities'. The most severe forms of substance misuse are normally treated by specialist drug and alcohol rehabilitation services. For people with mental health problems who are also substance misuses, the mental health team normally encourages contact with a specialist substance misuse service for help. There is also a lot you can do to help yourself. 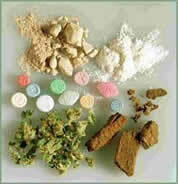 There are many reasons why you may start to use and then go on to misuse any of these substances. You may begin because of curiosity, a sense of rebellion or influence from your peers. You may find the experience enjoyable and want to repeat it. It may start when you are unhappy or stressed or trying to cope with problems in your life. Drugs, alcohol, nicotine, solvents and even food can start as 'props' to help you get through difficult times. But the feelings of relief are only temporary, and as the problems don't disappear, you may use more and more of these substances and risk becoming dependent on them - which in itself creates new problems. 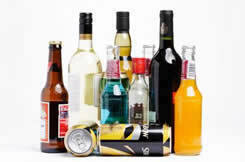 If you drink large quantities of alcohol regularly, you run the risk of becoming alcohol dependent. This means you could develop an addiction to alcohol and find it hard to live day to day without having a drink. You might find yourself drinking more and more alcohol, and planning your life around ways to find the next drink. Feeling a compulsive need to drink and being unable to stop drinking when you start are also signs of alcohol dependence. Tolerance to alcohol may increase, so you need to drink larger and larger amounts of alcohol to feel its effects. Alcohol dependence often isn’t down to just one cause, but can be the result of a number of different factors. A predisposition towards alcohol can be inherited, or it might be shaped by family attitudes towards drinking. Some occupations, such as high pressure sales jobs, are associated with social drinking, which may increase the risk of dependence. People living through stressful events, like a death in the family, may find they start to drink more heavily. 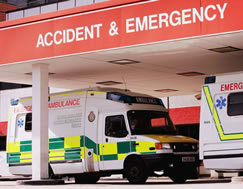 It is estimated that one in 17 people (6.4%) in Great Britain are alcohol dependent. The World Health Organisation defined alcohol dependent individuals as those exhibiting a range of behaviours including the strong desire to drink alcohol to the point that it takes precedence over all other behaviours, persistence to drink despite negative consequences, and physical withdrawal symptoms. Alcohol dependence was once considered a problem associated with middle age. However, figures from the Department of Health show that alcohol dependence is now more common among younger people. For women, alcohol dependence is highest between ages 16-24, while for men it is highest between ages 25-34. A compulsive need to drink and a loss of control over the amount consumed in one sitting. Basing all social events around alcohol and worrying where your next drink is coming from when it’s closing time. Suffering from withdrawal symptoms like sweating, tremors and nausea – and then drinking alcohol to make these symptoms stop. Developing a tolerance to alcohol which means you have to drink more to get the desired effect. Drinking alcohol, or having a strong desire to, when you wake up. Realising that your professional and personal relationships are suffering because of alcohol, but not being able to stop. While alcohol dependence is a disorder in itself, being dependent on alcohol is also a gateway to further health problems and psychological disorders. Psychological symptoms of alcohol dependence include anxiety, depression and suicidal feelings. Specific physical problems associated with alcohol dependence include insomnia, sexual problems and memory loss. Withdrawal symptoms can be severe, resulting in shaking, sweating, diarrhoea, rapid heartbeat and occasionally seizures. These symptoms are often known as delirium tremens, or DTs, and can be life threatening unless medical help is found urgently. There are many other risks to physical health from heavy drinking, including liver disease and a greater risk of high blood pressure, stroke, coronary heart disease and heartbeat irregularities. There are also social effects of alcohol dependence. Dependence on alcohol can rupture personal relationships and cause problems at work. It may lead to long-term effects such as job loss, financial difficulties and in some cases violence, crime and aggression. If you think you have a drinking problem, speak to your GP in the first instance. Your GP will be able to help you understand better what is likely to happen to you as a result of your drinking, and refer you as appropriate to alcohol treatment programmes and support groups that can help you cut down your drinking or stop it altogether. Evidence suggests that attempts to cut down on alcohol or stopping altogether are more successful if they are supported in some way, such as by family and friends, or through counselling or a support group. 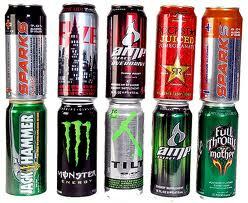 Caffeine stimulates the brain and nervous system. It can make you feel more alert and better able to concentrate, and it also increases acid production in the stomach, which helps digestion. If you regularly have large quantities of caffeine - say, five or more cups of coffee a day - you may find your tolerance has increased and you need to drink even more to get the same stimulant effect. The disadvantages of caffeine are that it raises your heart rate and blood pressure and makes you pass more urine - so you may end up losing calcium if you have too much. Sensitivity to caffeine varies from person to person, but too much can make you anxious, restless, irritable, jittery and sleepless. It can also give you headaches, stomach pain, nausea, muscle twitching or palpitations. Cutting out caffeine in one go can be difficult because you may experience withdrawal symptoms, including severe headaches as well as nausea, anxiety, fatigue and depression. One way to avoid this is to gradually decrease the amount of caffeine you consume, either by drinking less cups of coffee each day or by gradually switching to decaffeinated coffee. Its important to remember not to switch to other substances, such as cola or chocolate, which also have high levels of caffeine. These include caffeine and tobacco as well as amphetamines, anabolic steroids, 'poppers', hallucinogenic amphetamines (ecstasy), cocaine and crack (charlie, white or food). They act on the central nervous system and increase brain activity. Users generally feel more confident and alert, are able to stay awake for longer or perform physical tasks for a long period of time. With all except tobacco, high doses can cause nervousness and anxiety. Apart from tobacco and caffeine, stimulants can cause temporary feelings of paranoia. These include minor tranquillisers such as Valium, Librium, Mogadon and temazepam (benzios), solvents, glues, aerosols and gases. Depressants act on the central nervous system and slow down brain activity. They relax users, making them feel less tense and anxious, but at the same time impair mental and physical activity and decrease self-control. Analgesics are painkillers and include heroin (brown), opium, pethidine and codeine. They make users less sensitive to emotion and physical pain and produce feelings of warmth and contentment. These include cannabis (crow), LSD and 'magic' mushrooms. Hallucinogens act on the mind, heightening sensations and distorting the way users see and hear things. If you rely on drugs to help you feel less anxious or depressed or to improve your mood, you may be becoming psychologically dependent. If you rely on drugs to achieve certain physical effects or you can't face the unpleasant physical effects of not taking the drugs, you may be becoming physically addicted. In fact most drug-related problems generally involve physical and psychological symptoms and sometimes it is difficult to separate the two. If you are worried about the drugs you are taking or want to change your drug use you may find it helpful to contact any of the services in the area. The best course of action for you will depend on your own particular symptoms and your level of dependence. You may be diagnosed with an eating disorder, if your eating habits threaten your health and happiness or threaten the health and happiness of the people who care for you. People with Bulimia Nervosa can't stick to a healthy eating pattern. They tend to binge, that is, eat a lot at once. This makes them feel guilty and out of control so they then panic and punish themselves by starving, making themselves sick, taking laxatives or over-exercising. This can lead to a number of physical problems including tooth decay, constipation and intestinal damage, as well as heart and kidney disease. Telltale signs of Bulimia Nervosa include making excuses to avoid eating in company or rushing to the lavatory after a meal. You may smoke tobacco to help you relax or you may feel that smoking is justified because it helps you cope with stress, but the health effects of smoking are very serious. Long-term smoking causes cancer and heart and lung disease and also damages the health of other people who are exposed to cigarette smoke. Nicotine is one of the fastest-acting addictive drugs. But the concentration in the bloodstream falls just as quickly after finishing a cigarette - making you crave for another one. The withdrawal pangs from nicotine are so subtle that most smokers do not even realise they are addicted. There is no physical pain - just an empty, restless feeling or the feeling that you are missing something. 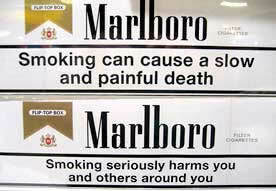 The longer you wait for another cigarette the more nervous, insecure, agitated, and irritable you become. But within seconds of lighting up, nicotine makes you feel relaxed and confident again. And as soon as this cigarette is put out, the cycle starts again. The most important step in giving up is deciding that you really do want to do it. Recognise that you are addicted to nicotine, but remember that withdrawal doesn't last forever - it takes only three weeks or so to get rid of 99 per cent of the nicotine in your body. Look forward to being free of cigarettes - focus on what you'll gain from giving up rather that what you are missing out on. Stop smoking completely - nicotine addiction means there is no such thing as just one cigarette. Watch out for smokers - they may feel threatened by the fact you have given up and may try to tempt you back. If you need extra help, it may be worth considering some form of nicotine replacement such as nicotine gum or nicotine patches. Both work by allowing your body to adjust gradually to lower amounts of nicotine. Solvent abuse (or volatile substance abuse) means deliberately inhaling the fumes from ordinary household products to get high. Products which may be sniffed include cigarette lighter refills (butane gas); aerosols (where it is the propellant, often butane, that is inhaled); solvent based adhesives (glue sniffing), and petrol'. Most volatile chemicals act as depressants, slowing down brain activity and making users relaxed, less tense and anxious. They also impair mental and physical activity and decrease self-control. 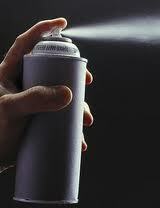 Prolonged misuse of solvents and volatile substances can result in brain, liver and kidney damage. Users may start out experimenting with solvents out of boredom and then move on to using them casually or recreationally. A very small number of users come to rely on them as a way of coping with life - not just of having some fun. These are some that PLUG members deal with and recommend that you avoid if possible. For things that happen outside your control, it is recommended that you find some support. Be honest with yourself and remember what it has led to in the past. Be proud of refusing to drink or use.